With 2018 coming to a close I’m looking backwards and forwards. It’s been a challenging and exhausting year taking in an aging relative. It’s for this reason we haven’t travelled much and explored as many new hotels and B&Bs as we would have liked to. In fact this year we only managed to visit two new properties and revisit one. Next year brings changes again. With only one of our three sons at home and our aging family member wishing to return to the UK we are making plans! The first will include a driving him back to the UK to settle him in. After that a visit to Amsterdam where son number two is heading off to in January for a new phase in his career. Then it’s on the lovely hotel trail again with a vengeance. Plots are afoot and beyond Granada in January we’re are not sharing! 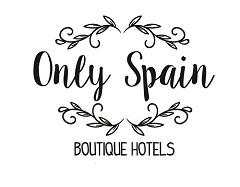 So keep tuned, we will tell you soon enough which beautiful Only Spain Boutique Hotels will be added to our collection in 2019. See our collection so far of four gorgeous Boutique Hotels in Granada. Join us on Instagram osbhotels to see some of the lovely properties in our portfolio.